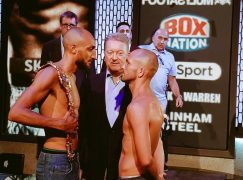 Cardiff’s Frankie Borg (9-3, 3KO) is hoping it’s a case of third time’s a charm when he completes his trilogy with Swansea’s Chris Ware (5-1, 2KO). 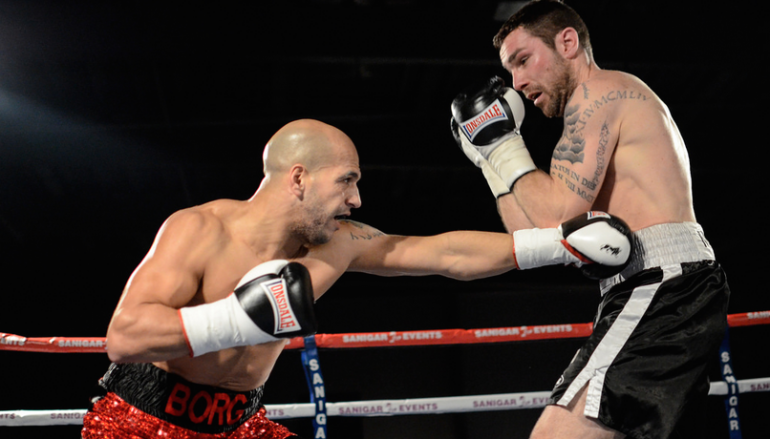 They will fight on Friday with Borg’s Welsh Area title on the line as the co-headliner for Sanigar Events’ ‘Unfinished Business’ show at the Newport Centre, less than a mile from where Borg spends most of his days training at St Joseph’s Boxing Club. The middleweights met in a non-title fight in December and it quickly turned in to a four round riot with Ware scoring knockdowns in the first and final rounds to spring the upset on points. Ware only received the call to fight 10 hours before the first bell but Borg was keen to stress that he was mentally unprepared for such an opponent, having been under the impression he would be fighting a less ambitious journeyman. Borg said: “Everyone says he had 10 hours notice but so did I! I had a phone call, half past 12 on the same day of the fight. ‘Frankie, go drink some water, the opponent has pulled out’. They come back with Chris Ware and I said, ‘fine – lets go for it’. “Going from fighting a journeyman to Chris is obviously a big difference. He’s tough and he can fight, man. Mentally, I just needed a fight by that point because I hadn’t boxed in nine months but Chris had match fitness. 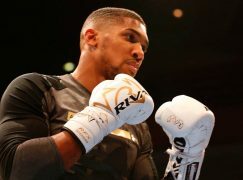 He’d boxed a few weeks before in Merthyr when he lost to Morgan Jones [pts4]. I just needed to fight, I couldn’t turn it down.” The current belt holder has had the toughest run of fights at Welsh Area level in recent memory with wars and wins against Bargoed’s Gary Cooper and Merthyr Tydfil’s Kerry Hope. Reflecting on his route so far, Borg said: “Most people either win a Welsh title and give it up or fight a journeyman, y’know? I defended against a former European champion [Kerry Hope], I’m not supposed to do that. 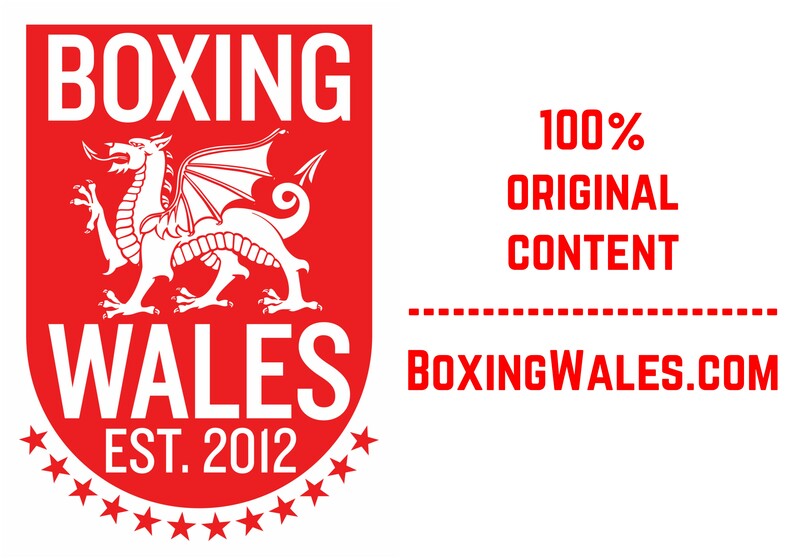 Can you name another Welsh boxer who has done that? “I beat him in his back yard [pts10], it was tough and Gary Cooper gave me a hard fight before that. So, no… I haven’t had it easy. I wish the pay was better [laughs]! Since turning professional five years ago, Borg has faced some stellar domestic opposition in his 12 outings. The 34-year-old refuses to allow his age to dictate career and insists that he has a young man’s body that shows no signs of slowing down. He said: “To be honest with you, people go on about time, yeah? But it’s how you treat your body and look after yourself. I eat well all through the year, though. I can blow up [in weight], especially if I go on holiday, but I eat healthy all year and I don’t eat junk. “I feel good, my body is alright, man. Age doesn’t matter, I’m fitter and healthier now than I was 10 years ago. 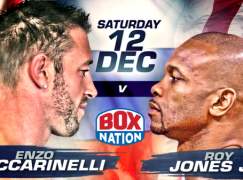 My diet is much better, I eat proper and that’s the key for me.” Originally, Borg and Ware first met in the amateur code of boxing as semi-finalists of the Welsh Senior Championships in 2009. The Swansea native also won that fight but Borg denies that the pair’s shared history gives Ware a psychological advantage. He said: “I’m not at all bothered. Not at all. In the amateurs, I was out of the game for five years, I had one fight the week before, which was easy, and I stepped in to a tough fight. I didn’t know Chris at all but I thought I won the fight, convincingly. “I started off slowly but I came back in to it. It was close but I thought I won. He went on to win though, it was a double count back decision. It was what it was, it doesn’t bother me.” Borg, who is trained by his uncle Tony Borg, kept his cards close to his chest when questioned on tactics but he promised that observers will receive value for money. He said: “It’s going to be exciting, isn’t it? You ain’t gunna change Chris Ware’s style over six weeks or six months. He’s the same fighter that I boxed six years ago as an amateur; tough and strong. Me on the other hand, I can box and I can fight. It’s going to be a good one for the fans. “It’s mad, I met Chris six years ago and had a tough fight, he came out the winner. As a pro, until our fight, I was sparring him every week. We get on well, respect each other but that’s it. I’m not losing my title. F*** that.” Image by Sophie Merlo.